Shockwave Entertainment has been in business since 1997 and is owned and operated by Jeff Wells. Jeff started his DJ Career after running a country western dance club in Monticello, Illinois and teaching line dance classes then working for WIXY 100.3's Music N Motion DJ Service. Since moving to South Georgia, Jeff and his son Josh have worked hard to become one of the premier Disc Jockey companies in the South Georgia area. 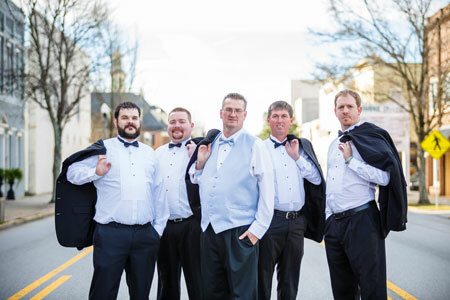 Jeff and his Disc Jockeys strive to keep up with the latest hits, but are well versed at playing a variety of music, and have extensive experience at all types of parties. We are very careful not to say or do anything that would offend you or your guests. Our song library is very extensive and consists of a wide variety of music that can be selected by you. We don't play songs that have vulgar language, because all of our songs are edited. We will play a song with suggestive lyrics, only if you specifically requested it. If a guest requests a song with suggestive lyrics, the DJ will play the song, only if you say, "it's okay." Our DJs are all professionals with at least five years of experience, are well versed at reading what your guests want to hear, and can keep the party going. Our DJs can be high profile, and spend time on the mic motivating your guests, or we can be at the other end of the spectrum and be low key, using the mic only when we need to make announcements. You decide what style of DJ is best suited for your party. Shockwave Entertainment DJ's are experienced in a variety of events, including weddings, school dances, corporate outings, and private parties. Our DJ's have entertained clients ranging from elementary school kids and faculty to celebrities. When you retain Shockwave Entertainment to entertain at your event, you can be confident that you made the right choice, and that your event is going to be a hit. He was an AMAZING DJ!!! From the very first phone call to the actual day he was so professional and nice! I've had so many guest from my wedding RAVE about how great of a job he did! I'd HIGHLY recommend him to anyone! Jeff Wells is great! He makes sure that you are absolutely happy! He is also great about keeping the atmosphere lively and fun, and keeping the dancing going! My wedding was in the morning, so that wasn't an easy job to do! Very satisfied customer! Jeff was amazing! I would highly recommend Shockwave Entertainment to anyone! Awesome service by Shockwave, play great music and have an amazing website to request all of your music ahead of time. great family business and treat you like family before and during the wedding! Check out more reviews on WeddingWire and The Knot.